For all our retreats, we fly out a team of experts from London. This dream team of in:spa massage therapists, nutritionists, chefs, yoga teachers and personal trainers ensure maximum benefits for every guest, such as weight-loss, improved fitness, greater flexibility, stress relief and a heightened sense of wellbeing. For each retreat, in:spa provides a winning combination of wellness experts to refresh and revive you. Whilst each member of the in:spa team is a leading expert in their particular fields, with many years experience, it is the combination of expertise and personalities – in a relaxed, friendly, beautiful environment – that our guests find so beneficial. in:spa has a superb team of highly qualified and very experienced personal trainers. Each guest will benefit from a wide variety of fun and effective group training sessions during the retreat as well as a private personal training session. Every class is tailored to ensure that all guests, whatever their fitness level, are able to train at their own pace - under the expert guidance of our team - and return home feeling much fitter and motivated to keep up the good work once they return home. Adrienne is a global Adidas ambassador, FIIT master trainer, international speaker, leading wellness professional and podcast host. She shares her passion for fitness, as well as encouraging and motivating others by writing, creating videos, speaking at events and hosting workshops. Over the last few years her love for running has taken her around the world, and in 2017 she completed her first marathon. Also a mum to six year old Jude, Adrienne and her family enjoy an active lifestyle together, taking on everything in life with energy, fun and passion. 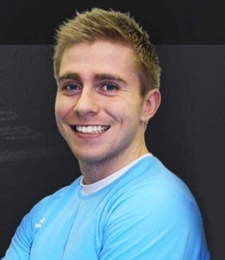 Manchester born, Brighton based, Chris has 10 years experience in the health and fitness industry. A published nutrition author, strength training specialist and a sought-after personal trainer in the field of fitness retreats. He continues to enjoy a successful varied career Including running his own bespoke training and nutrition service across the South East. 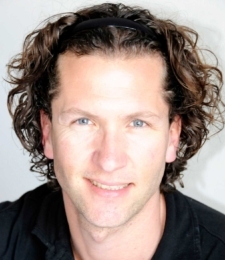 Chris is a highly personable trainer and educator with an infectious passion and professionalism to create an environment where fitness goals are heard, nurtured and executed on in:spa retreats. Craig Carroll, has been working in the fitness industry for over 7 years and is well versed in training both high profile sporting athletes including international rugby, football, and track & field athletes, as well as fitness enthusiasts in and around London. With his depth of knowledge within sports performance, Craig has acquired a skill set that is second to none and works alongside some of the world’s leading sport coaches, and is a regular writer for fitness magazines such as Men’s Running, Runners World and Ultra fit. Craig specialises in strength and injury rehabilitation, and running coaching. For the majority of Erica’s career, she has worked for some of London’s top financial institutions as a corporate fitness wellbeing advisor and personal trainer integrating health and fitness into the lives of the chronically time-poor. Gemma started off her career as a professional contemporary dancer and worked for dance companies across the UK. This prompted a passion for health and fitness and in 2009 Gemma trained to become a personal trainer. She runs her own business in Sussex which specialises in Pre & Postnatal health, fitness and Nutrition. 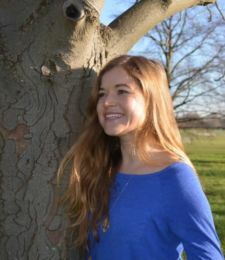 Gemma also does a lot of work with the University of Sussex and alongside her passion for fitness, she is also a qualified Nutritional Therapist. Her personal fitness focuses on running with a particular focus on Marathons and Half-Marathons. George graduated from St Mary’s University in Twickenham with a BSc (Hons) Degree in Sports Science and Biology, and has now spent over 20 years within the fitness industry. He has proven an extremely effective and motivational personal trainer over the years, with a wide base of expertise. He was senior fitness coach at Crystal Palace FC before becoming a senior trainer at Matt Roberts in Mayfair training many high profile clients. In the last few years his passion for skiing lead him to become a BASI ski instructor in Zermatt in Switzerland. George’s philosophy to training ensures fun, effective, holistic solutions to every client’s goals. 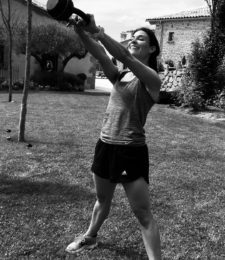 A highly competent and enthusiastic Personal Trainer, Jess’ passion lies in inspiring clients to create healthy habits and ensure sustainable results. Attracting a varied client base, Jess offers numerous session styles & focuses, including Strength & Conditioning, HIIT and Boxing. Jess lives by the ethos; Once your mindset changes, everything on the outside will change along with it. 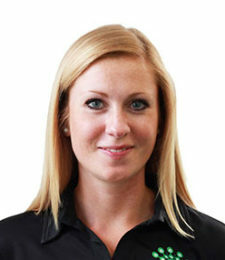 Experienced working in luxury travel, Jess is an ideal trainer to have on your retreat with you. She prides herself in customer service and attention to detail, going above and beyond to meet your every need both in terms of training and your retreat experience. Kath’s sporty background, energy and motivation make her an ideal retreat host. Her care and attention, as well as her love of the outdoors, make her an invaluable member of the in:spa team and a host who ensures your trip will leave you full of energy and feeling amazing. Kath began Personal Training 12 years ago and has gained many fitness qualifications including Boxercise and Vipr training. She likes to make sessions enjoyable but hard so her clients achieve the results they want with a smile on their face. Having completed her Meta Fit training, she currently teaches group sessions in gyms and outdoors with a variety of clients. Coming from a sporty back ground means that she particularly enjoys training sport specific clients and groups. She has run various marathons including New York and London, mostly dressed up for charities! Kath is highly motivated and she will make sure that her fitness sessions bring out the energy in you! Lara believes that fitness should help you live a longer, healthier and happier life. Her background, as a professional dancer, has been a lifetime in understanding the human body’s best-applied biomechanics and principles of body conditioning to achieve this end. As a registered REPS Level 4 personal trainer and group fitness instructor, Lara is passionate about healthy living and inspiring people to achieve their fitness goals. With a wide range of exercise approaches, you’ll find Lara motivating her clients at The Hurlingham Club with progressive training techniques helping them to incorporate physical activity into already busy lives. 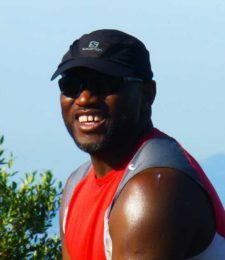 Malcolm is a registered REPs level 4 and a GP personal trainer with a specialist qualification in weight management/ obesity and Type 1 and Type 2 diabetes. He is an exercise specialist using multiple disciplines including bodyweight, traditional resistance, kettlebell, suspension, high-intensity interval (HIIT), boxing and dance training to train a client base that spans a vast professional demographic from celebrities, producers, directors and home executives. He developed danceFIIT, barreFITT and groupFITT classes which are his own style whilst taking components of popular group fitness classes and have been a huge success in the fitness industry over the past 10 years. Previously, Malcolm had a lucrative international entertainment career spanning 18 years as a dancer and musical theatre actor/ singer travelling to all parts of the globe. At 41 years old and with all his career choices involving a thorough understanding of the human body, its aesthetics and potential for good form, he aims to have you feeling energised, inspired and wanting more. Stan began his career in the fitness industry in 1994. In 2000, Stan joined the fitness team at London’s prestigious Harbour Club on a freelance basis, teaching classes and training clients one to one. 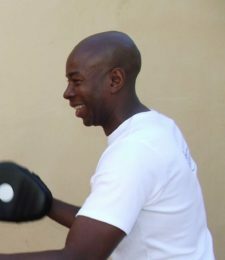 Stan has a reputation as being a versatile trainer with bags of enthusiasm and is keen to bring a sense of achievement and success to all his clients. 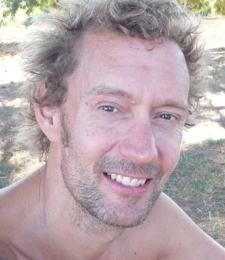 Recently Stan has trained in Pilates and is a Level 1 C. H. E. K Practitioner (Corrective High performance Kineisiology). Stan has played a number of sports to a high standard and boasts tennis and golf as his most recent sporting passions. Stan’s areas of expertise are in weight management, strength and stability training and lifestyle coaching. 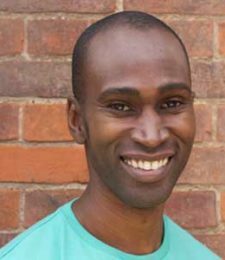 Willan is a fantastic level 4 personal trainer, group instructor, sports massage therapist and GP referral specialist with over 20 years personal training experience. He began as a martial artist, then moved on to train as a dancer at the Arts Educational School. He now runs his own company “willtrainyou.com” and trains people with medical conditions as well as working on our incredible retreats! Clients will be transformed both physically and mentally while with Willan on his structured programmes. Yoga classes are held every morning and every evening on in:spa retreats by one of our superb teachers. Morning classes are designed to be energising and are an excellent way to kick start the day, whilst evening classes are relaxing and restorative - a lovely way to wind down at the end of the day. Don't worry if you're new to yoga or have never tried it before; many of our other guests will be the same. Our teachers are all highly experienced and well versed in ensuring that everyone, whatever their experience, derives maximum benefit and enjoyment from the yoga classes. Isaac began practicing Ashtanga Yoga 15 years ago, initially only to complement his career as a dancer with companies including the English National ballet, Birmingham Royal Ballet and Spanish National Ballet. At 23 his desire to pursue yoga overtook his desire to dance, prompting him to train as a teacher. He has travelled extensively in India, studying many styles including Ashtanga, Sivananda and Iyengar. He has been lucky enough to learn from many great teachers including Richard Freeman, David Svenson, Liz Lark (another of our in:spa yoga teachers), Padma Nair, Gusta (Shunya) and many more. 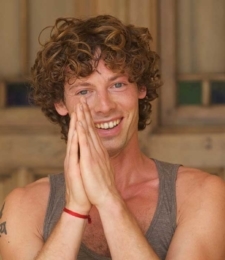 Isaac is qualified with the British wheel of Yoga and is certified by the Yoga Alliance. James was working as a trader in the City in ’95 when he discovered that yoga could relieve chronic back pain and assist in calming a restless mind. He had completed one teacher training course with Sivananda in 2002 when he was thankfully made redundant and began teaching full-time. The decade of City life gave him an invaluable understanding of the challenges of working in high-pressure environments. During the following five years he also gained Yoga Alliance certification and taught in yoga centres and health clubs across London as well as organising his own classes and yoga holidays. In 2006 he went to India for six months’ intensive study of Astanga in Mysore and trained with Sri K Pattabhi Jois. Joanne teaches mindful breath-led yoga, inspired by many great teachers along the way. Over the course of fourteen years, her yoga practise has grown towards a keen interest in the energetic effects of postures and breath work, the grace of flowing movement and the contemplative practises of meditation. She teachers a fusion of Hatha, vinyasa flow and kundalini yoga. A love for words and poetry can be found weaved into her classes. She has a passion for teaching yoga to all levels from beginner to advanced, and credits her students for teaching her as much as she has them! 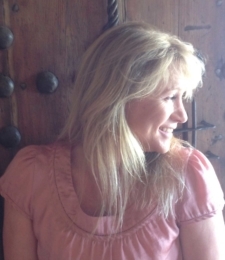 Joanne is also a certified Reiki practitioner and intuitive healer. Sophie draws on a variety of backgrounds including Sports, Dance and Qi Gong during her yoga teaching. She teaches a strong flow of very creative, dynamic sequences that focus on building strength, stamina and flexibility. For the last 15 years Sophie has trained in India and the UK, studying various yoga traditions, including Hatha, Sivananda, Ashtanga and Iyengar. She has a background in Triathlon and has developed a unique programme of Yoga for Athletes, which focuses on core strength, injury prevention and mental focus. Sophie’s classes are energetic, imaginative and motivating beyond the mat. in:spa nutritionists play an important role, along with our specialist chefs, in creating healthy, cleansing, nutritious - and delicious! - meals for our guests on the retreats. All guests will benefit from a private nutrition consultation during their stay and, as the nutritionists are on hand throughout the week, have lots of opportunities of asking questions and learning more about diet and nutrition as the week progresses. Alli is an incredible nutritionist who has been working with us since 2005. She qualified from The Institute of Optimum Nutrition in 1996 and specialises in weight loss and fatigue as well as digestive and hormonal health. Alli frequently runs cookery workshops and has her own popular cookery book ‘Feed Your Health’, she is now working on her second book of simple, healthy recipes. She has also created the NOURISH diet – an 8 week programme for weight loss and improved health which has been hugely successful since it began in 2012. 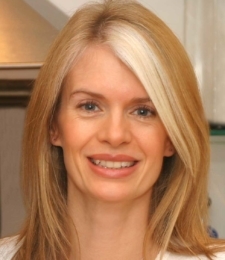 Alli is a regular contributor to the HEALTHISTA.COM website, demonstrating healthy, delicious recipes and a certified gluten practitioner having studied a programme devised by gluten guru Dr Tom O’Bryan. 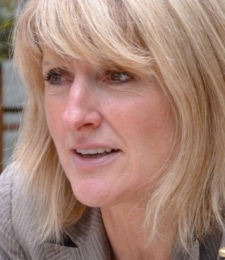 Emma is a Registered Nutritional Therapist and a member of the British Association of Nutritional Therapists. She believes that If you know how to take care of your body, it will take care of you, and her ethos has been borne out of a love of food and a commitment to health. 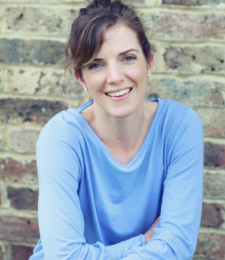 Currently running thriving clinics in both Brightonand London’s Harley Street, Emma is experienced in all aspects of nutrition whilst specialising in weight loss, digestive health and hormone regulation. Emma also teaches workshops in schools for both children and parents – the workshops aim to demystify nutrition and provide practical tips for eating well and optimizing health. Magalie is a nutritional therapist, plant-based trained culinary consultant who is passionate about healthy living and optimum nutrition. After graduating from ION (Institute of Optimum Health), she started working with clinics and GPs who had an interest in nutritional therapy. Her passion took her to America where she was trained in plant-based nutrition in 2013. Her coaching methods involve motivating and empowering her clients to lead a healthier and fulfilling life by giving them the right tools and knowledge. 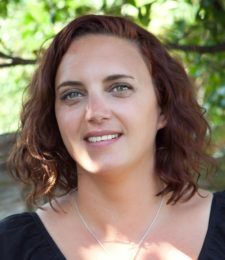 Magalie follows a holistic approach when seeing clients, which is aimed at supporting the body as a whole by addressing the root cause of their health issues. She has had the opportunity to travel and work in various countries in the last 14 years – from clinics, retreats as well as 5 star hotels and resorts – which enabled her to continue learning and adapting her therapeutic skills to different cultures. 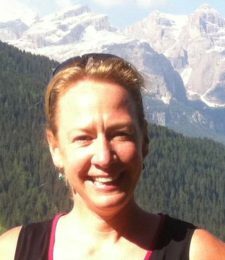 Mel joined the in:spa team as a nutritionist and is now one of our regular retreat hosts. She’s highly organised and extremely good at looking after our guests, and it’s a real bonus having her nutrition expertise along side her management skills. After 25 years in the health and beauty business, Melanie completed a three year full time degree in Nutritional Therapy, graduating in 2001. She practices in a central London clinic specialising in fertility and at a GP practice, holds community-based healthy cooking workshops, writes regularly for the Sunday Telegraph Stella magazine and is currently studying for a Masters in Nutritional Medicine. She specializes in hormonal problems, weight management, digestive issues and using nutrition to improve aging skin. However, she fundamentally believes that eating well makes you feel better, as well as helping improve health. She likes good food and her consultations are always really enjoyable as well as informative. After more than 25 years in the corporate world, Mike learned firsthand how taking your diet for granted can damage your health. 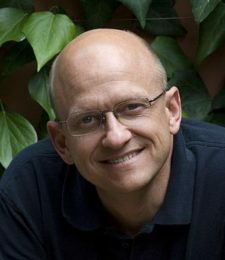 Upon discovering the subject of nutrition, Mike changed careers and is now a practicing nutritionist and health educator. 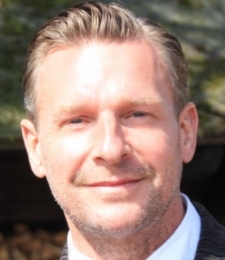 Originally from San Diego, California, he now runs a wellness clinic in Saffron Walden, Essex and is passionate about empowering his clients and the wider community to take control of their own health, naturally. He does this by providing education, health coaching and targeted nutritional therapy with a specialisation in digestive disorders, hormone balance, weight loss and anti-ageing. 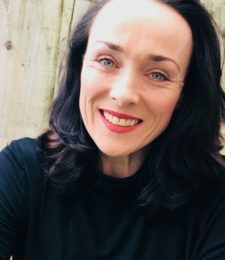 Susie has a Degree in Food Science (Reading University) and a Diploma in Nutritional Therapy (Institute for Optimum Nutrition) and has over 20 years’ experience working as a passionate practitioner, motivational speaker and health writer. Her food and wellbeing articles are regularly featured in various health magazines. She helps clients of all ages and with a wide range of health, skin, digestive, metabolism, anti-ageing and hormone conditions find their way back to better health with her personalised diet, supplement and lifestyle plans. Her book ‘Premenstrual Syndrome: The Essential Guide’ is packed full of her hormone balancing nutrition tips. 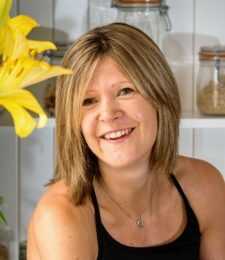 Susie hosts inspiring nutrition talks, fun cookery workshops and informative wellbeing days across Sussex and runs her one-to-one nutrition appointments from her home clinic in Newick. 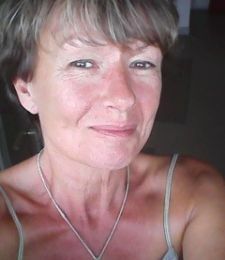 Susie supports clients all over the world with Skype appointments and enjoys writing her blog containing her health articles, nutrition news and healthy recipes. Tanya is an incredible Functional Nutritionist and BANT registered nutritional Therapist. Her quest for knowledge combined with a passion for the healing power of food has resulted in developing a specialist interest in digestive complaints & gut function, thyroid health, autoimmunity and chronic conditions of poor energy delivery. She creates bespoke weight loss packages using the functional medicine paradigm to again unravel the causes of individual’s reasons for incremental weight gain, plateauing or inability to lose weight. Tanya attended The College of Naturopathic Medicine in London, has her FirstLine Therapy © Certification for Cardio-Metabolic Syndrome, completed her Functional Medicine & Laboratory Interpretation Certificate with Dr. Bryan Walsh and completed her IFM certification in 2016. She brings her passion and dedication to each client and empowers them to obtain their optimal health and well-being. It's difficult to over state the importance of our specialist chefs on retreats. All meals are created, with the assistance of our expert nutritionists, without salt, wheat, dairy, red meat and alcohol - and our guests are always amazed and delighted at how utterly delicious everything is. We call it gourmet cleansing cuisine and are proud to have such superb chefs on our team. During your retreat, you will have the opportunity of learning first hand at a cooking demonstration just how they create such inspirational meals - and be able to take home their recipes. Originally from Ireland, Miranda previously worked in the world of horse-racing and has now been a freelance chef for the last 15 years. Following extensive travels in Europe, the West Indies and north Africa, she has gained a wealth of experience along the way. Self-taught, with a strong emphasis on using the best ingredients cooked simply and a deep-rooted interested in healthy-living, she was first introduced to in:spa while living in Marrakech and now divides her time cooking on both in:spa and fitscape holidays, and for leading catering companies in London and Directors Dining Rooms in the City. 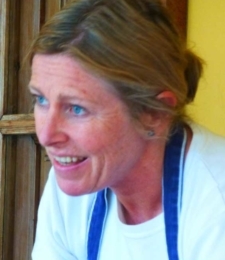 Sara has been working in the hospitality industry for over 20 years, starting off as the chef at Finn’s on London’s Chelsea Green before branching out to do event catering for lunches and dinner parties. 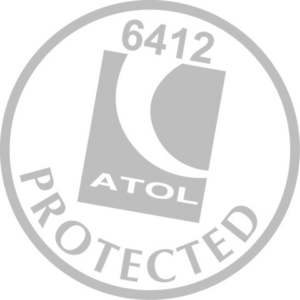 In 2000 she opened her own Delicatessen & Outside Catering Company off Kensington High Street which, in 2006, she sold to Otto Lenghi and moved to Winchester from where she now continues to provide catering for numerous happy clients. Our team of highly experienced in:spa massage therapists ensure that the massage treatments you enjoy during the week ease out any aches and pains and leave you refreshed and revived. Many of our guests tell us that the massages they experience during their in:spa retreat are the best they have ever had. 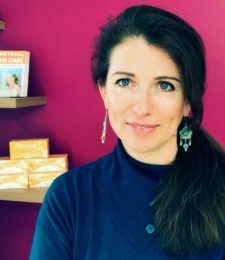 Since completing her training in Swedish Massage in 2003, her passion for holistic therapies continued to grow: training in both Hot Stone Therapy, Deep Tissue Massage and Pregnancy Massage. 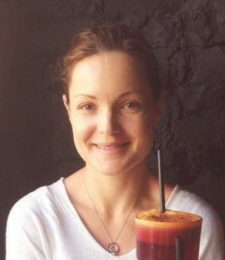 After spending 7 years as a full time massage therapist for a boutique hotel in Egypt, Antonia returned to the UK and subsequently completed a course in Advanced Clinical Massage Techniques. Adding this to her 10 years of experience, she is now able to provide clients with an individually tailored treatment plan targeting specific problems, as well as holistic solutions for mind, body and spirit. When she’s not looking after guests on in:spa retreats, Antonia works from a private and relaxing treatment room in South London, and is also mobile, visiting homes and offices. Frank left Germany in 1988 and made London his new home. After working in retail management for 13 years, he decided that he wanted to do something new. Aromatherapy had been a hobby of his for a long time, so he trained with the Tisserand Institute for a Diploma in Holistic Aromatherapy. Apart from Aromatherapy, he practises Sports Massage, Deep Tissue, Remedial and Indian Head Massage, Hopi Ear Candles and Aromatherapy Facials. Frank is glad to share his knowledge with others. His motto in life is balance – do not deny yourself of anything but do everything in moderation, and have a passion. 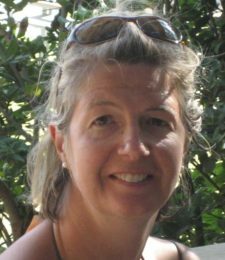 Isabelle trained in Shiatsu massage 20years ago and since then has built on this with additional skills, such as Thai massage and acupuncture. She has studied Chinese Medicine intensively and brings her knowledge of Eastern medicine into her treatments to release energy blockages, release pain, stiffness and muscular tension and restore a balanced flow of blood and energy around the body. Her massages are deep, intuitive and relaxing and encourage recovery from muscle fatigue. Jo offers Holistic and Deep Tissue Massage, Reiki and Indian head Massage. She combines a variety of techniques to create a unique treatment according to each individual’s needs. She is passionate about body work, continually adding to her skills and developing her intuition. Jo is particularly interested in the Mind-Body connection, believing that the sense of touch is key to our emotional, mental, and physical well-being. She aims to create a space for her clients where they can feel safe, nurtured and at ease to be as they are. Jo’s massage treatments on in:spa retreats are always raved about by our guests! Petra originally joined the in:spa team as a massage therapist but was so good at organising things and looking after guests that she has now become a regular host on retreats too. 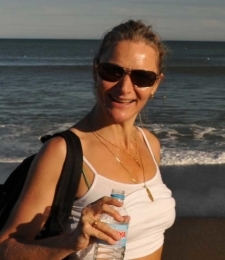 Petra has over 20 years experience as a qualified massage therapist and natural health practitioner. With a busy private practice in London, Petra tailors her treatments to meet the individual needs of her clients. 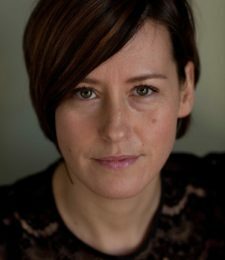 By combining her skills as a therapeutic, remedial and sports massage therapist with cranial sacral techniques, kinesiology, plus her skill as a McTimoney Chiropractor, Petra’s holistic and perceptive approach has consistently yielded results for her growing list of regular clients. Being a regular member of The Healthy Holiday Company team, and hosting a number of the trips as well, enables Petra to merge her love of travel with her passion for natural health. Her sensitivity to her clients’ needs, coupled with her intuition and versatility, ensures guests have a truly invigorating experience. All in:spa retreats have an experienced, dedicated host. His or her role is to ensure the smooth running of the retreat and to ensure all our guests enjoy maximum benefits from the week. Your host will greet you at the airport on your arrival and then look after you throughout the week. If you would like to enquire about a retreat, or have any questions about our team, our destinations or our programme, simply fill in our enquiry form below, and we will be in touch.